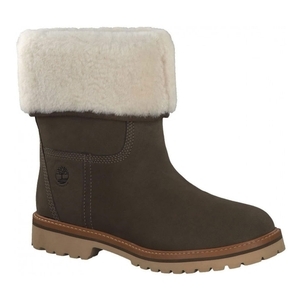 Timberland Chamonix Valley Authentic Shearling Fold Down Waterproof Boot. This Teddy fleece lined boot, with its shearling collar, is perfectly equipped to keep your feet warm and toasty even when the temperatures plummet. The light and flexible EVA shock-absorbing footbed and outsole keep you comfortably on your toes, all day long.